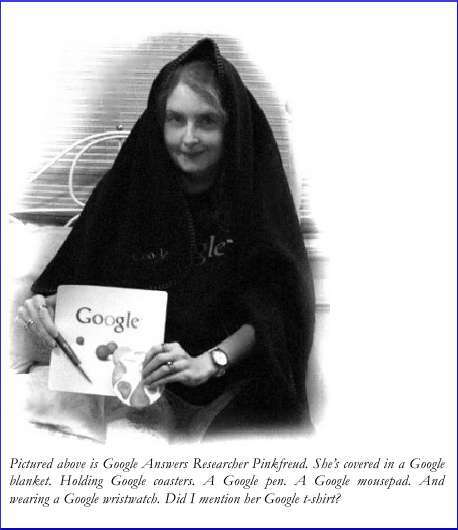 Philipp Lenssen has written a fun little book about fun things to do with Google. 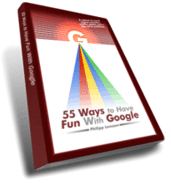 The 55 chapters searching games, graphical games, Google history, Google trivia, Google gadgets, Googledromes and more. You can download the PDF for free, or buy the paper book. The paper version is certainly easier to read on the train, but somehow I think this book is best read on-screen from the PDF, with a Google window open to the side of it so that you can try everything out as you read about it. This entry was posted on Saturday, June 24th, 2006 at 6:37 pm	by eiffel	and is filed under Search Engines. You can follow any responses to this entry through the RSS 2.0 feed. Both comments and pings are currently closed. Paf, over here I’m not getting the same page at the top for your search term and its reverse.